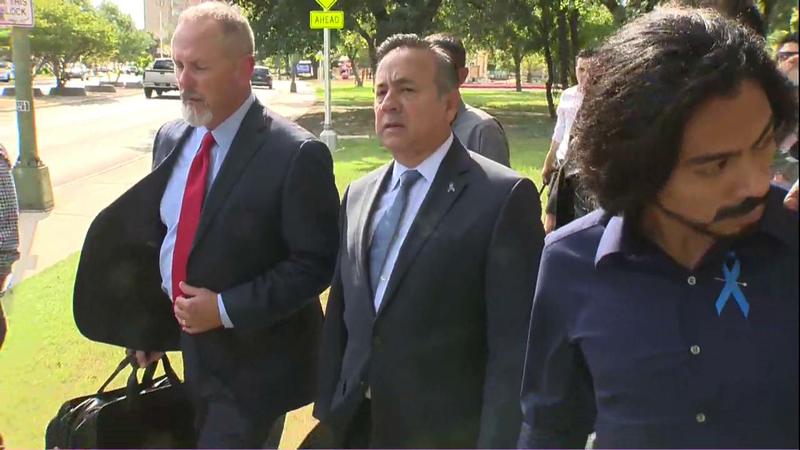 SAN ANTONIO - Less than two weeks before jury selection for his trial on federal bribery charges, former State Senator Carlos Uresti pleaded guilty Friday morning. Uresti faces up to five years in prison. He's free on bond until sentencing January 14. Uresti is accused of working as a consultant in a contract deal with Vernon Farthing, whose company provided medical services to inmates, and a Reeves County official -- but only if the company received a contract with the Federal Bureau of Prisons to house its inmates. Reeves County is among 15 counties in State Senate District 19, a seat from which Uresti resigned in June. The indictment says Uresti acted as a consultant for Farthing at a meeting with Reeves County Judge Jimmy Galindo in August 2006 to discuss the contract and an arrangement promising payments if Galindo secured the contract. That deal was approved in September 2006 by Reeves County commissioners -- led by Galindo, who signed the contract that month. The indictment says within days Farthing sent Uresti a letter agreeing to pay Uresti $10,000 for his marketing services. Uresti is alleged to have received $10,000 each month as a "consultant" fee from Farthing and Farthing's company. The indictment says Uresti kept half the money, then paid Galindo through his law firm and a company called Turning Point Strategies. Prosecutors say the conspiracy started Jan. 1, 2005, prior to the contract approval by Reeves County officials. The money exchange allegedly started Jan. 1, 2007, and ended Sept. 30, 2016. Jury selection in Farthing's case is still set for Oct. 22. Uresti faces up to five years in prison on the bribery conspiracy charge. He remains on bond pending sentencing scheduled for Jan. 14, 2019. Uresti was convicted in February on nearly a dozen federal charges for a Ponzi scheme, which defrauded investors into giving money to a sand fracking company. Uresti was ordered to repay the victims more than $6.3 million. He was sentenced in June to 12 years in prison, but is appealing that conviction. Uresti has been free on bond while awaiting the resolution of the other case. After Uresti was convicted, his wife, Lleanna Margaret, filed for divorce. Federal prosecutors received a restraining order to keep Uresti from selling assets -- something they described as "a common asset protection device." In July, he announced the he couldn’t afford to pay his attorney, telling a judge "he doesn't have money to survive." 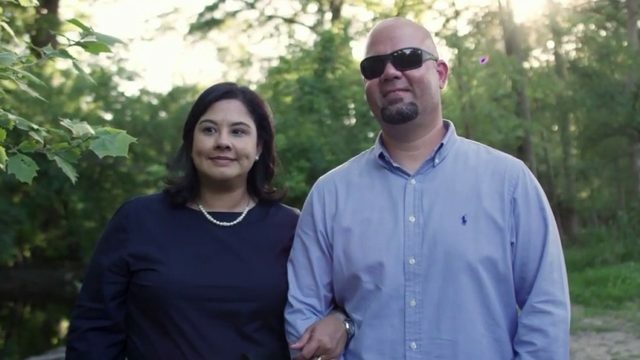 However in September, a federal judge approved the sale of the couple’s Helotes home, listed at $1.5 million. They have been trying to sell the home since April. Prosecutors obtained a restraining order keeping the Urestis from selling possessions in their divorce, which was described as "a common asset protection device in cases where restitution is anticipated, and defendants will routinely agree to a final decree in which the non-debtor spouse receives all of the assets while the defendant receives all the debt." The sale of the property needed the judge's permission. Additionally, Carlos Uresti is still trying to sell the office building where he used to practice law. Like the home sale, any sale of the commercial site needs the judge's approval. Uresti was sentenced to 144 months in federal prison. He was ordered to pay more than $6.3 million in restitution to his victims. On Thursday, prosecutors modified Uresti's bond conditions restricting his travel outside of the San Antonio area unless he has court approval to go elsewhere. "Mr. Uresti is no longer a licensed attorney, nor a sitting Texas State Senator. He no longer has such wide ranging professional and legislative interests," the court document said.